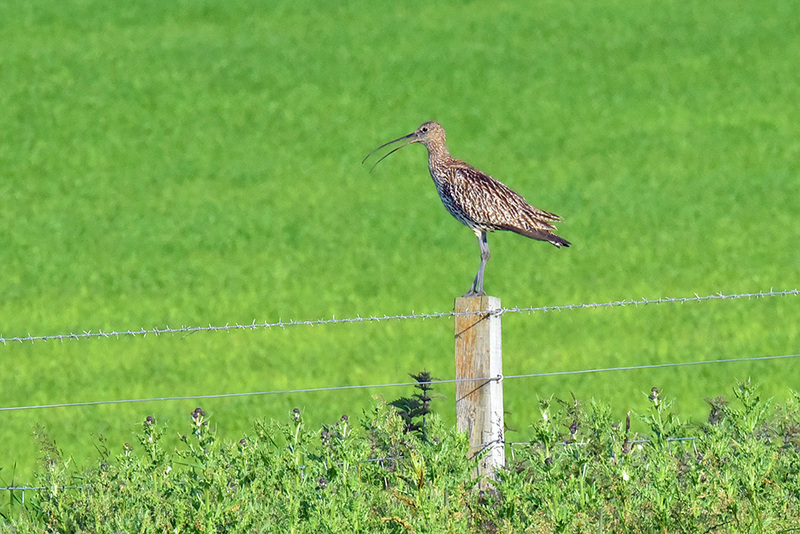 Spotted in a field near Ballinaby, a Curlew standing on a fence post, calling out loudly before flying off into the field. This entry was posted in Landscape, New Post, Sunny Weather, Wildlife and tagged Ballinaby, Curlew, Islay by Armin Grewe. Bookmark the permalink. my favorite bird. mostly the call it makes.